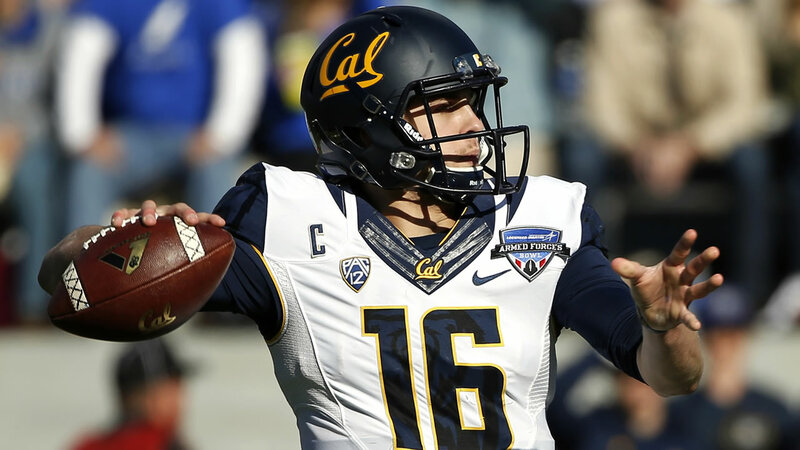 FORT WORTH, Texas (KGO) -- Jared Goff threw for 467 yards and six touchdowns and California won in the postseason for the first time in seven years, beating Air Force 55-36 in the Armed Forces Bowl on Tuesday. This could be Goff's last college game. The 21-year old from Marin County is expected to declare for the NFL draft. One prominent Cal alum was showing his colors before the game -- Carolina Panthers head coach and 1985 Cal grad Ron River was seen proudly wearing his Bears Christmas sweater. Click here for full coverage on the Cal Bears.